Police officers have reportedly found two diaries belonging to Philip Seymour Hoffman in his apartment that feature detailed accounts about his battle to stay sober before his death on February 2. 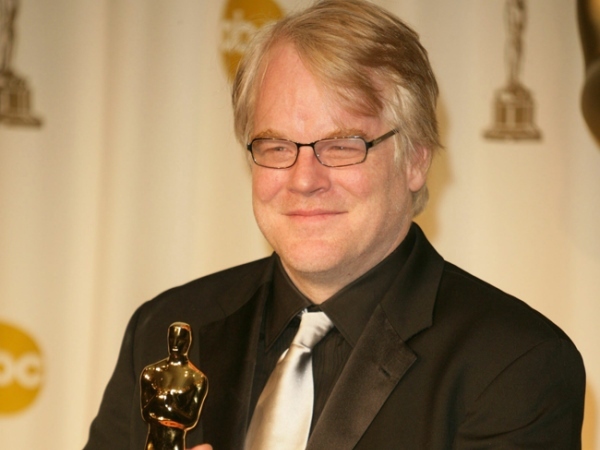 Philip Seymour Hoffman kept diaries about his battle to stay sober. The late actor, who was found dead in his apartment in New York City from an apparent heroin overdose on February 2, wrote detailed accounts about his struggle to control his "demons," drug deals and his desire to stay clean by attending Narcotics Anonymous meetings before his death. A source told NBC News: "It's stream of consciousness and difficult to follow. In one line he refers to 'Frank who always owes money' and on the same page he writes about a 15-year-old girl from Texas. "It seems he did at least part of it in rehab. It definitely contained some soul-searching. But there is also a fair amount of rambling that doesn't make sense." Police officers found two diaries in the Capote star's home and some of the hand-written entries were made during Philip's last stint in rehab last year. The star of The Hunger Games reportedly fell off the wagon in 2012 after being sober for more than 20 years and he entered rehab in May 2013. The Oscar-winning actor (46) was allegedly found with around 70 bags of heroin inside his apartment after his estranged partner, Mimi O'Donnell, sent his friend David Bar Katz over to check on him when he failed to show up to see their three children, Cooper (10), Tallulah (7), and Willa (5). Some 400 mourners, including Cate Blanchett, Julianne Moore and Diane Keaton, attended Philip's private funeral at St. Ignatius Loyola Catholic Church in Manhattan last Friday.